Here’s how to hide apps or games on Samsung galaxy Note 9 Oreo 8.1 phone. You’ll hide apps on Galaxy Note 9 using home screen settings. To protect your important apps data, you can hide or lock apps on galaxy Note 9. You can show or hide apps icons from home screen in galaxy Note 9 device. Hide individual apps from Samsung galaxy screen. Follow below given step by step process to show or hide apps on Galaxy Note 9. You can lock or hide the important apps on galaxy Note 9 Oreo 8.1 device. Check out below given settings. Now list of installed apps are view in your Samsung galaxy devices. Now go to app drawer in your Note 9, you can’t see hidden apps icons in your device apps list. If you don’t want to hide apps on galaxy Note 9, lock apps in your device. To find hidden apps on galaxy Note 9, again open hidden apps setting and unchecked app to show apps. Just lock your important apps from installed apps list. 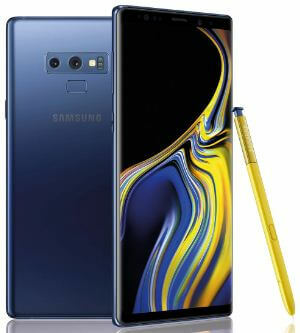 You can unlock apps on Note 9 after enter PIN number or password or fingerprint sensor. Show or hide apps button from your Samsung galaxy Note 9 home screen. And that’s it. Do you still have question about show or hide apps on Galaxy Note 9? If you have any kind of trouble, tell us in below comment box.